Red, white, and blue! Texas, I love you. The watercan atop an old soda case captured my attention on a trip to Fredricksburg. 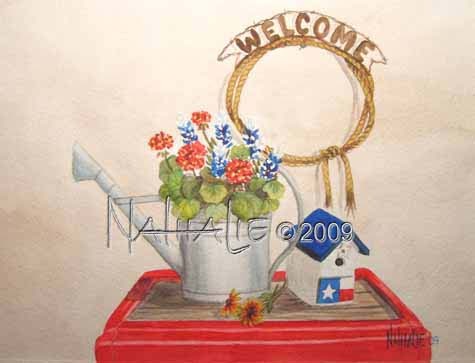 I added the bluebonnets and geraniums to the watercan to complete the picture.